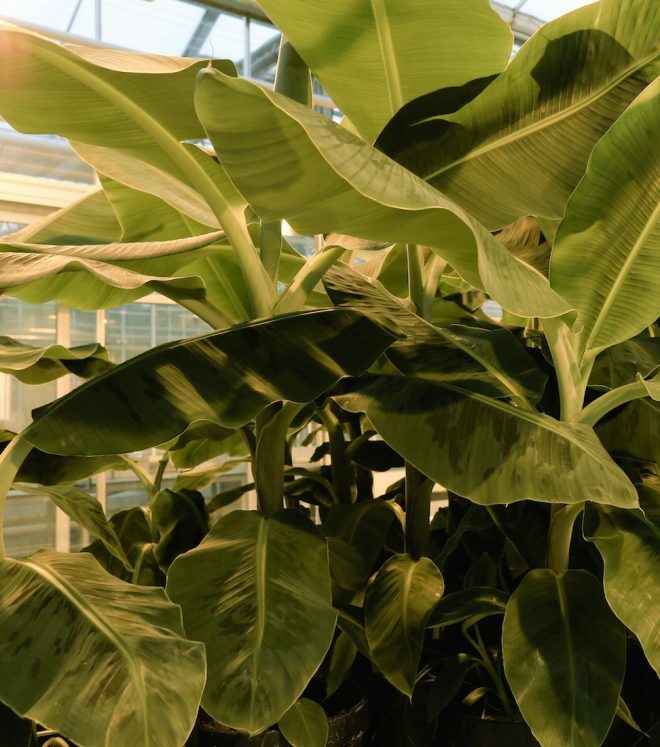 The Bioversity International Musa Germplasm Transit Centre (ITC) is hosted at the Katholieke Universiteit Leuven, Belgium, and is home to the world’s largest collection of banana diversity. The collection includes more than 1,500 accessions of cultivated and wild species of banana. The accessions are kept in vitro under slow growth conditions at 16°C. For security, samples are frozen in liquid nitrogen at –196°C. Such cryopreserved material can be conserved indefinitely and revived into full banana plants as needed. In addition, this frozen collection is safety duplicated at the Institut de recherche pour le développement (IRD) in Montpellier, France. The Laboratory of Plant Pathology from Gembloux Agro-Bio Tech (Liège University, Belgium) provides virus-indexing and plant health services. Virus negative material is freely available for international distribution upon request from the MGIS website, which holds passport data on all ITC accessions. Samples are accompanied by a health statement, phytosanitary certificate and a copy of the Standard Material Transfer Agreement. ITC collaborates widely with partners in many locations around the world through the Musa Genetic Resources Network (MusaNet).